Elizabeth Postle, author of this website was a nurse for over 45 years. 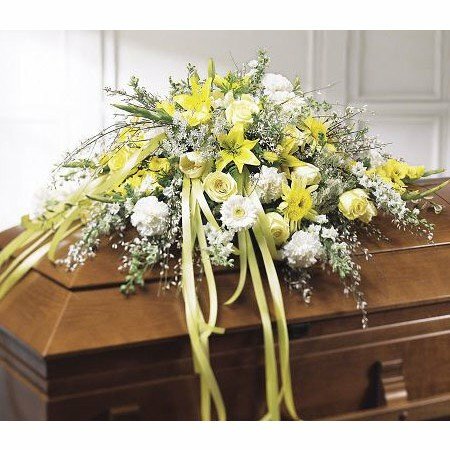 She describes how to look after your health when grieving. "I'm often asked how grief affects health? What are the physical symptoms and how can we look after ourselves when grieving? When grieving we are told look after our health, but what is good health? The best definition I know is a feeling of well being. You can suffer from a chronic illness but still have days of feeling fine. You can have chronic arthritis or Down's syndrome but still suffer emotional highs and lows. You can be suffering a loss or grieving for a loved one, but you still have good days and bad days. Looking after your health while you are grieving can help you to have more good days than bad. There is a strong link between physical health and mental health. Look after both and you will be well on the way to recovery. All these factors play a major role in our health and well being. We cannot afford to neglect any if we wish to remain healthy while grieving a loved one. Commons symptoms of grief which can affect your health are insomnia, problems with eating, aches and pains and anxiety. Looking after your physical health will help you to combat some of these symptoms and reduce their severity. Keeping fit will help reduce anxiety and help you sleep. Do you walk each day? Do you swim or play golf or bowls. Do you do gardening or housework? Do you play with the children or grandchildren? You need to find something to stop you being a couch potato and to keep you active. 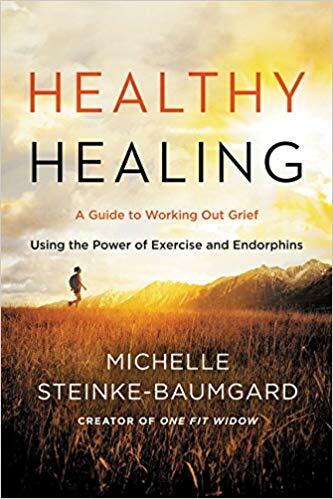 We highly recommend the book Healthy Healing by Michelle Steinke-Baumgard of One Fit Widow. She shows you how you can use the power of exercise and good nutrition to help you on your grief journey. Also have regular checks with your doctor. At least have a yearly blood test. You need to be fit to cope with your grief. Here are some physical symptoms you may also experience. These pages on coping with grief anxiety and sleep problems may also help. Eating is hard when you are in shock, and when you are grieving. When my husband died, my family and I couldn't face anything much except pumpkin soup. This is easily digested and healthy to start with. Later when the shock has subsided, it's easy to get into bad habits as you can't be bothered to cook healthy food. But do try. Eat fruit and vegetables. The 5 a day rule is good. Avoid too much sugar and salt. Eat fish, chicken and pork and red meat only in moderation. Ask your doctor to refer you to a dietician if you are concerned about a weight problem. Overeating when grieving is also common. It is comfort food eating, especially when feeling lonely and bored. So keep lots of fruit and low calorie snacks around for these moments. Because, yes, there will be many. Watch your weight. You will find getting out and about is easier when not carrying too much excess. Healthy eating is a major part of this. See also Can bereavement cause weight gain? Let your friends in. Don’t try to hide. Accept all invitations that you can, even if you don’t feel like making an effort. We are social beings and friends can be a great source of comfort. Enjoying a social event takes your mind away from all those negative thoughts. Some people seem to think they should not be seen to be enjoying themselves at a social event, but this is essential to your well being. You will be amazed at finding yourself having a good time, your loved one would have been thrilled at this too. This is paramount too. You will find after the loss of a partner or family member that finances task the brain. There are always bills to pay, tax to sort out. So do continue to do crosswords each day or do Sudoku. Play bridge if you did before or join a chess or computer club. Keeping the brain active is a major part of keeping yourself in control and more able to cope. See also Can bereavement cause mental illness? Look after your emotional health. This is traumatically disrupted during the grieving process. You lose confidence, you are numb, acting on auto pilot, you are lonely, you wonder if you can cope alone. There are roller coaster days when emotions go from very high to very low. You make yourself cope for the rest of the family and friends. You can’t sleep. 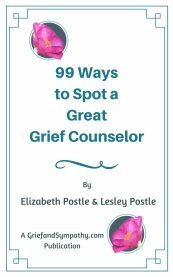 Read about the emotions of grief here. All these things will be easier to cope with if you look after the other aspects of your loss. Each day does get easier to cope with and who said life was easy? Keeping other health issues of your life on an even keel does help. Good health is made up of many factors. Try to focus on positive thoughts rather than negative ones. We can choose what we think, so choose to find positive things to dwell on each day. Meditation can be very useful for this and re-training the mind to focus on the positive. Recent research also suggests that meditation is good for the immune system. So it will help you fight off those coughs, colds, aches and pains that so commonly attack you when you are down. You can teach yourself with a book, or join a local group. It'll get you out meeting others. Yoga classes usually include some meditation and relaxation, and that will keep you strong too. You can also get useful hypnotherapy recordings to help you calm the mind and cope with all aspects of grief. For more information on hypnotherapy for grief click here. If you are struggling with any aspects of your health after a loss in your life, don't be ashamed of reaching out for help. 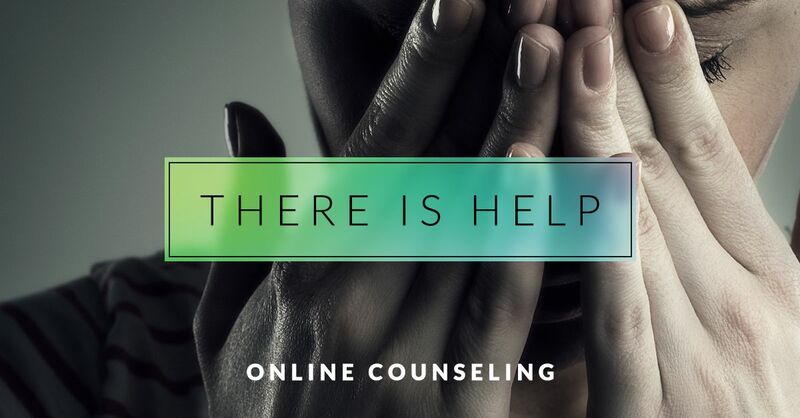 We recommend online counseling, which is flexible, completely confidential and proven to be effective. The following service provides highly qualified and expert counselors. Do you feel alone and sad with no support and no idea how to move forward? It can be tough when you are stuck in grief to find the motivation to get the most out of your precious life. 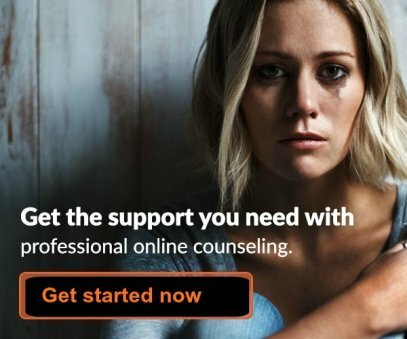 Online counseling can help by giving you that support so you don't feel so alone. You can have someone to talk to anytime you like, a kind and understanding person who will help you to find meaning in life again, to treasure the memories of your loved one without being overwhelmed and to enjoy your activities, family and friends again. Simply fill out the online questionnaire and you will be assigned the expert grief counselor most suitable for you. It only takes a few minutes and you don't even have to use your name. Pay an affordable FLAT FEE FOR UNLIMITED SESSIONS. Contact your counselor whenever you like by chat, messaging, video or phone. You can change counselor at any time if you wish. Click here to find out more and get started immediately. Or read more about how online counseling works here. To be upfront, we do receive a commission when you sign up with Betterhelp, but we have total faith in their expertise and would never recommend something we didn't completely approve. Sales from our pages result in a small commission to us which helps us to continue our work supporting the grieving. 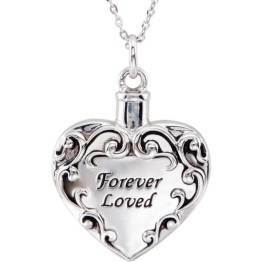 Check out our lovely range of memorial jewelry for any lost loved one. Pendants, necklaces, rings or bracelets, we have them all in all kinds of styles. Choose for yourself or buy as a sympathy gift. Try a gentle hypnotherapy track to relax the mind. 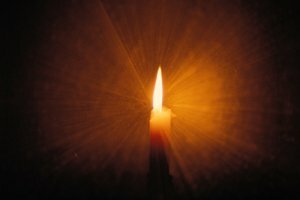 Learn how self-hypnosis can help you cope with grief at any time of the day or night. Join us on Facebook for articles, support, discussion and more. Click 'Like' below. To Survive Your Grief And Get On With Life"
Our free downloadable and printable document "The 10 Most Important Things You Can Do To Survive Your Grief And Get On With Life" will help you to be positive day to day. The 10 points are laid out like a poem on two pretty pages which you can pin on your fridge door to help you every day! All you have to do to receive this free document is fill in your email address below. 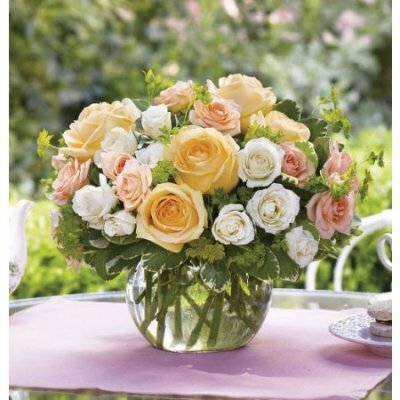 You will also receive our newsletter which we send out from time to time with our newest comforting and helpful information. You can unsubscribe any time you like, and don't worry, your email address is totally safe with us. It’s a beautifully written children’s book with wonderful illustrations. Though it is a children’s book the words are very comforting for adults as well. Make sure you get the right counselor for you. Sales made via this site will result in a small commission to us which enables us to continue our work helping those who are grieving. This does not affect the price you are charged and we will only ever recommend services and products in which we have complete faith. Try gentle therapy using relaxing hypnotherapy tracks in the privacy of your own home. 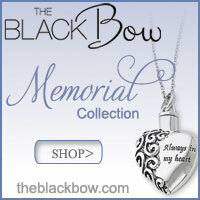 Save 10% on The Memorial Jewelry Collection by The Black Bow. PLUS free shipping. Use Code 'Memorial' at checkout. Any information provided on this website is general in nature and is not applicable to any specific person. For specific advice, please consult a medical practitioner or qualified psychologist or counselor.